Over 300,000 Views since 2008 - GROWING UP IN THE 60'S BERTHA McNEILL , MOMGrowing up in Fayetteville in the 60's was very different from today. No microwave ovens, no cable tv, no video games and we only had three flavors of ice cream, vanilla , chocolate and strawberry. We could play in the streets because there were very few cars on the road. Sounds of the Ice Cream truck coming down the street on a hot summer day was music to our ears. Sitting outside was a pleasure because most homes and cars were void of air conditioning and Seeing our mothers shelling peas and shucking corn on the front porch was a common sight. It was an innocent time, in spite of everything else going on in the world , we could go outside and not constantly worry about getting into trouble. We slept with the windows open to get the cool breeze at night without fear of intruders . Going to school everyday , church and even bible school was expected and every adult in the neighborhood got the same respect that we gave our parents.Before three or four years of age , my recollection is faded. Many time I search my thoughts in hopes of reflecting back some memory of that time. My early days bring back memorie of eczema which had as a baby. I can remember my mother and grandmother rubbing me dowm with differennt salve and home remedies to moisten my skin and keep my from stratching . During those days we did not realize that basically most allergies are trigged by , foods, soaps , detergents , pet hair and even bed clothing. But it is amazing that in these days and time 3 out of 10 infant get some form of eczema at a very young age. three years old. We learned early the love and caring of a mother and a grandmother. 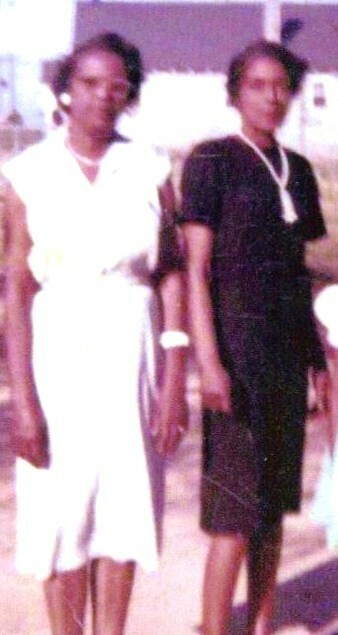 I guess I mention my mother and grandmother together because somehow as a child growing up I visualize them as sisters. They had identical roles in our lives , the roles of caring , loving and providing. Bertha and Flora was more of a combination than a separate entity. I loved them both as one. 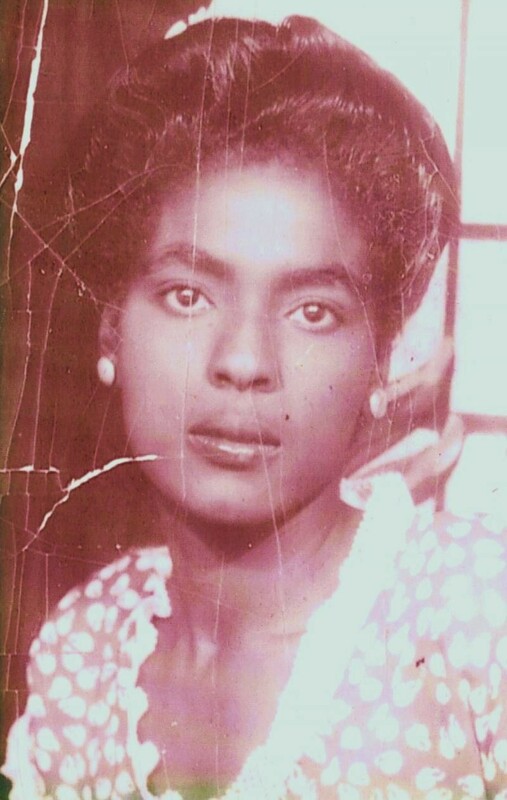 My mother was a part of each one of our lives , some times it is hard to visualize how one person can be so much to so many. Christmas together , holloween carnivals at Newbold elementry , county Fair , picnics , Lewis Chapel Church and going to the bakery on the way home, easter egg hunts , eating dinner at Flora's and Smitty's , trips to Jones Lake and Atlantic Beach were only a few things that I fondly remember. My fondest memory of my mother was Senior Night for the E.E.Smith Basketball Team. You see , my mother a homemaker , a naturer , a reader , good cook and a ultra femine women. She did not go to many games and to have her there for me at that night was one of the highlights of my life. But the glory of the 60's were much more than that, You see , it was about having two parents in the home. A black male growing up with a father in the home is the grearest gift a child could ever have. Now , please don't get me wrong, I will never minimize the eminence role that the mother plays in the development our children. But just as a mother has a lasting and profound impression on a daughter , a strong father has a overwhelming affect on turning a boy into a man. Growing up in the neighborhood back in the day was a world of its own. 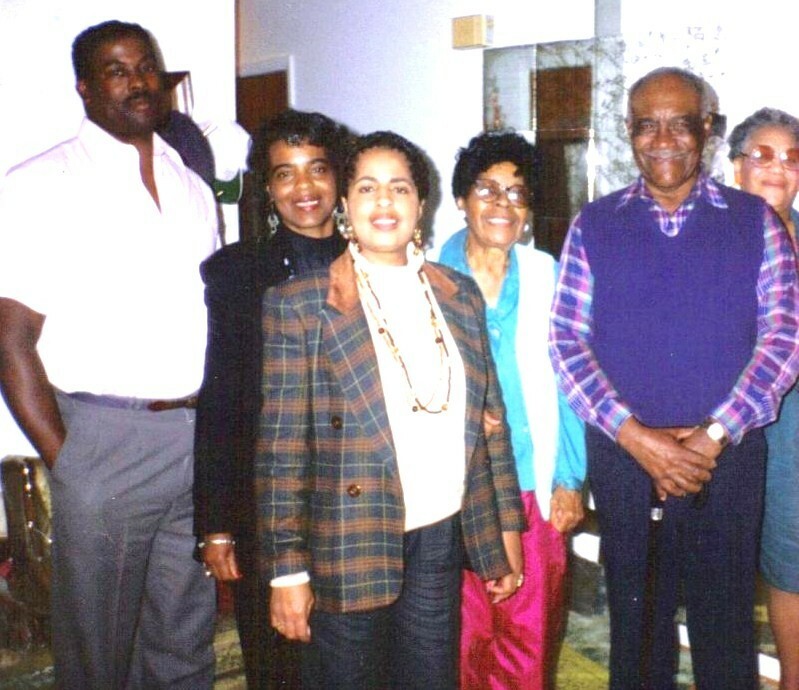 The closeness of the families made the satire " It takes a Village To Raise A Child" a thing of reality.During that time our fathers were in the homes , men such as ;Roy Sr. , Smitty , Mr. Brown , Mr. Campbell , Pee Wee McNair , Mr.McPherson , James Evans , Ed Hollingsworth , Uncle Alec , Charlie McNeill , Mr. Sessoms , Leslie Williams , Mr. White , Mr. Munn , Mr. Elliott , Uncle Jim McNeill , Mr. Torrey and I can go on and on. These were good black men that loved their families , worked hard everyday and treated every kid in the neighborhood as if they were their own. I can remember uncle Alec spending every saturday with the guys of the neighborhood as our Scout Master . He would take us camping , fishing , to the lake , to games , feed us and spend his own money and never ask our parents for a dime. Mr. Jenkins gave credit to our families for food and supplies from his corner store and sometimes he waited months to get paid. James Evans sold hot dogs and sodas at his Pickle Bar providing a wholesome and clean place for the kids to hangout. Most saturdays following payday , my dad would give me and Earl a couple of dollars, so we could walk downtown and take in a saturday matinee movie at the Colony Theater. These men worked two and three jobs to keep food on the table and a roof over our heads , but what impressed me the most was the love and support that was given to each child. To give you an example of the support that was given to me , I think back and have to laugh. One monday night our dad asked Deno , the owner of the Barn Restaurant could he leave early inorder to see the second half of my basketball game. The Barn was his second job , his first being a science teacher at Tarheel High School. At this time I was playing basketball at Fayetteville State . With less than five minutes remaining in the game , I saw dad walk into the Lilly Gymnasium with this big charismatic smile on his face , as if he drove up in a brand new Cadillac. He begin shaking hands with some of the fans and blending in with the scenery of the crowd.Immediately after the game he came up to me still smiling , sweating and virtually out of breath and said "Well Bud, I made it".. You see , He had never missed seeing me play a home game. That night the old Chevy Corvair would not start , so he walked from the Barn restaurant to the game in the cold after working two jobs that day , just to support me .Now, you are probably asking yourself was that unsual. And I have to say " NO"... Back in the day that was what fathers were made of ....that was what they do!! . You see , They would put their families before themselves. My dad was being there for me , just as Uncle Alec , Uncle Chester and Grandpa Charlie were there for him . This is my challenge to the young generation . Make a promise to yourself that you will continue to carry that same pride , strenght and support that was the badge of honor for my father and the fathers before him. Growing up in Fayetteville in the 60's was very different from today. No microwave ovens, no cable tv, no video games and we only had three flavors of ice cream, vanilla , chocolate and strawberry. We could play in the streets because there were very few cars on the road. Sounds of the Ice Cream truck coming down the street on a hot summer day was music to our ears. Sitting outside was a pleasure because most homes and cars were void of air conditioning and Seeing our mothers shelling peas and shucking corn on the front porch was a common sight. It was an innocent time, in spite of everything else going on in the world , we could go outside and not constantly worry about getting into trouble. We slept with the windows open to get the cool breeze at night without fear of intruders . Going to school everyday , church and even bible school was expected and every adult in the neighborhood got the same respect that we gave our parents. Before three or four years of age , my recollection is faded. Many time I search my thoughts in hopes of reflecting back some memory of that time. My early days bring back memorie of eczema which had as a baby. I can remember my mother and grandmother rubbing me dowm with differennt salve and home remedies to moisten my skin and keep my from stratching . During those days we did not realize that basically most allergies are trigged by , foods, soaps , detergents , pet hair and even bed clothing. But it is amazing that in these days and time 3 out of 10 infant get some form of eczema at a very young age. three years old. We learned early the love and caring of a mother and a grandmother. I guess I mention my mother and grandmother together because somehow as a child growing up I visualize them as sisters. They had identical roles in our lives , the roles of caring , loving and providing. Bertha and Flora was more of a combination than a separate entity. I loved them both as one. My mother was a part of each one of our lives , some times it is hard to visualize how one person can be so much to so many. Christmas together , holloween carnivals at Newbold elementry , county Fair , picnics , Lewis Chapel Church and going to the bakery on the way home, easter egg hunts , eating dinner at Flora's and Smitty's , trips to Jones Lake and Atlantic Beach were only a few things that I fondly remember. My fondest memory of my mother was Senior Night for the E.E.Smith Basketball Team. You see , my mother a homemaker , a naturer , a reader , good cook and a ultra femine women. She did not go to many games and to have her there for me at that night was one of the highlights of my life. But the glory of the 60's were much more than that, You see , it was about having two parents in the home. A black male growing up with a father in the home is the grearest gift a child could ever have. Now , please don't get me wrong, I will never minimize the eminence role that the mother plays in the development our children. But just as a mother has a lasting and profound impression on a daughter , a strong father has a overwhelming affect on turning a boy into a man. Growing up in the neighborhood back in the day was a world of its own. The closeness of the families made the satire " It takes a Village To Raise A Child" a thing of reality. During that time our fathers were in the homes , men such as ;Roy Sr. , Smitty , Mr. Brown , Mr. Campbell , Pee Wee McNair , Mr.McPherson , James Evans , Ed Hollingsworth , Uncle Alec , Charlie McNeill , Mr. Sessoms , Leslie Williams , Mr. White , Mr. Munn , Mr. Elliott , Uncle Jim McNeill , Mr. Torrey and I can go on and on. These were good black men that loved their families , worked hard everyday and treated every kid in the neighborhood as if they were their own. I can remember uncle Alec spending every saturday with the guys of the neighborhood as our Scout Master . He would take us camping , fishing , to the lake , to games , feed us and spend his own money and never ask our parents for a dime. Mr. Jenkins gave credit to our families for food and supplies from his corner store and sometimes he waited months to get paid. James Evans sold hot dogs and sodas at his Pickle Bar providing a wholesome and clean place for the kids to hangout. Most saturdays following payday , my dad would give me and Earl a couple of dollars, so we could walk downtown and take in a saturday matinee movie at the Colony Theater. These men worked two and three jobs to keep food on the table and a roof over our heads , but what impressed me the most was the love and support that was given to each child. To give you an example of the support that was given to me , I think back and have to laugh. One monday night our dad asked Deno , the owner of the Barn Restaurant could he leave early inorder to see the second half of my basketball game. The Barn was his second job , his first being a science teacher at Tarheel High School. At this time I was playing basketball at Fayetteville State . With less than five minutes remaining in the game , I saw dad walk into the Lilly Gymnasium with this big charismatic smile on his face , as if he drove up in a brand new Cadillac. He begin shaking hands with some of the fans and blending in with the scenery of the crowd. Immediately after the game he came up to me still smiling , sweating and virtually out of breath and said "Well Bud, I made it".. You see , He had never missed seeing me play a home game. That night the old Chevy Corvair would not start , so he walked from the Barn restaurant to the game in the cold after working two jobs that day , just to support me . Now, you are probably asking yourself was that unsual. And I have to say " NO"... Back in the day that was what fathers were made of ....that was what they do!! . You see , They would put their families before themselves. My dad was being there for me , just as Uncle Alec , Uncle Chester and Grandpa Charlie were there for him . This is my challenge to the young generation . Make a promise to yourself that you will continue to carry that same pride , strenght and support that was the badge of honor for my father and the fathers before him.